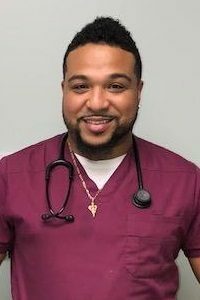 Andre graduated from Ulster BOCES as an LPN in 2016. Since then, he has gained experience in a variety of settings, including OB/GYN, Family Practice and more. Andre joined Emergency One in 2018. He is an integral part of our Occupational Medicine and Urgent Care team, conducting respiratory clearance physicals, audiometric testing, blood draws, pulmonary function tests and much more. He has provided services onsite throughout New York State with Emergency One’s onsite team. While working at Emergency One, Andre is continuing his education while he pursues his Registered Nursing degree. His excellent skill, caring attitude and beaming smile have been a great addition to the Emergency One family.